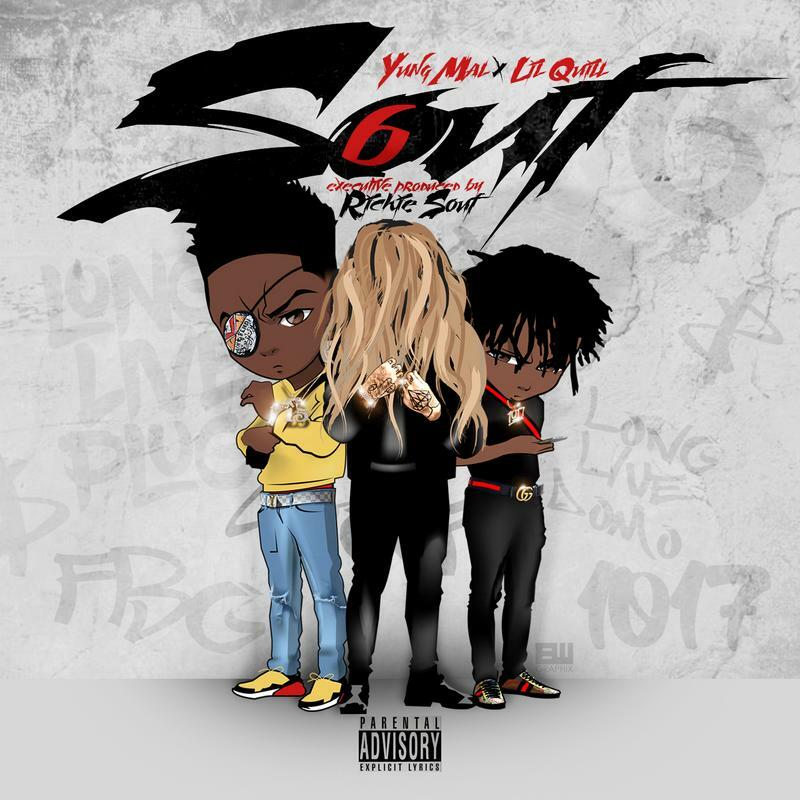 Home>New Mixtapes>Mal & Quill Mixtapes> 1017 Eskimo's Yung Mal & Lil Quill Team Up With Richie Souf For "Souf6"
Likely not entirely familiar to most casual fans of hip-hop, Yung Mal & Lil Quill have been working as a duo, making noise under the direction of Gucci Mane as part of 1017 Eskimo. Handpicked by the Atlanta legend to represent his Eskimos through their work, Mal & Quill were given a platform that they need to take full advantage of. Not many have the opportunity to work with Guwop, let alone get mentored by him. The group's first big hit together, "Publicity Stunt," is not too far removed with its release just last year but Mal & Quill crave more success. After getting shot at a few months ago as part of a drive-by, both 1017 Eskimo members survived the incident and are working directly with executive producer Richie Souf for Souf6. In what is bound to be an introduction to many, the duo shines bright on their newest project. Check it out and let us know what you think. MIXTAPES 1017 Eskimo's Yung Mal & Lil Quill Team Up With Richie Souf For "Souf6"